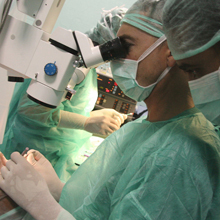 Humanity: Eyes of the world is an organization whose projects have a direct impact on peoples’ health. In all circumstances, the Foundation’s fundamental principle is respect for human dignity and the alleviation of suffering. All of the Foundation’s members must respect the professional codes of their trade. 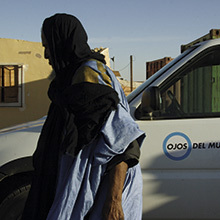 Eyes of the world defends respect for human rights and international humanitarian law. Independence: Eyes of the world diversifies its funding sources to guarantee ethical and financial freedom. Equality of opportunities and gender equity: The Foundation helps to guarantee equal opportunities in the right to eye health to the most vulnerable people and groups without social, religious, ethnic, or any other kind of distinction, and incorporates the gender perspective in all areas of the entity. Altruism: Eyes of the world is an organization based on the provision of voluntary (non-paid) services, although it also employs the paid staff necessary to ensure coordinated, ongoing and efficient operations. Eyes of the world volunteers provide their professional and human skills, and are committed to the people they serve, to the Foundation’s mission, and to the improvement of society in general. Professionalism: The Foundation’s volunteers and workers, expert professionals in their respective areas, are able to consistently and predictably perform necessary actions and handle all resources. Transparency: Eyes of the world is committed to its beneficiaries, collaborators, and donors to act with complete transparency, informing on the good use and management of its funds and including all guarantees necessary to demonstrate the efficiency of the work it does. Permanent action, involving a long-term commitment to local people and health authorities. Development and commitment to training as a tool for the future. Cooperation, which involves collaboration with other organizations, authorities, and local health services. Efficiency, meaning the ability to maximize and control resources.